We have sold quality gas logs and gas log sets to customers from Easton, Norwalk, Ridgefield, Wilton, Weston, Newtown, Brookfield, Darien, Lewsiboro NY, and a number of other communities through Fairfield, Westchester, and Litchfield County. Do you have a wood fireplace that you rarely, if ever, use? If you have decided that you want to make more use of your fireplace, but are deterred by the labor-intensive task of starting a fire or the cost of maintenance, gas logs are an excellent option. With gas logs, you can enjoy the pleasure of having a fire blazing in the hearth without ever having to collect firewood again. We carry gas logs sets that are barely distinguishable from real wood in many styles and sizes to fit your fireplace. Much like gas fireplaces, gas log sets offer you the convenience of lighting your fireplace with the touch of a button or flip of a switch. Along with this convenience, gas logs are clean burning and energy efficient. They can produce up to twice as much heat as wood that is burned in a traditional fireplace. (The amount of heat produced will be determined by the model you choose.) With a vent-free set of gas logs you can keep a drafty room comfortably warm throughout the cold winter months. The first decision to make when selecting a gas log set is to choose between liquid propane (LP) or natural gas. LP burns 3 times hotter than natural gas but it is more expensive and requires that you have a tank of fuel installed outside of your house whereas natural gas can be connected to your log set with your local natural gas company’s gas line. Before deciding between the two, it is wise to contact your local gas company to check if service is available to your home. If it is not, LP will be your only option. After choosing the fuel type, the next step is to decide between vented or vent-free gas logs. Vented gas log sets create a larger, more authentic fire but they generate significantly less heat since you must leave your damper open. If you enjoy the ambiance of dancing flames and want to enhance the look of your fireplace, vented gas logs are an excellent choice. If you hope to use your gas log set as an alternative heating source, vent-free logs are the option for you. 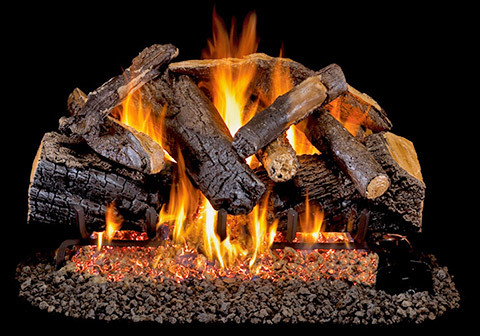 Vent-free gas log sets generate a greater amount of heat but have less vibrant flames. Since you will be able to keep the damper closed, using vent-free logs will also prevent down drafts. It is important to check your building codes and verify with your homeowners’ insurance that you can use vent-free gas logs, if they are your preference. In some areas, building codes and home insurance policies restrict the use of vent-free logs in wood fireplaces. Many gas logs are artistically crafted to be indistinguishable from real wood. Even faux embers are included to create the authentic look of a wood burning fire. Many manufacturers use actual wood to create the molds and have each faux log hand painted. There are also many modern installations that use stone, glass beads and other create ways to display the flames. 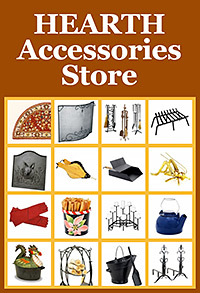 We carry a wide selection of gas log sets for you to choose from. Each style comes in a variety of sizes to fit the specific measurement of your fireplace. Before dropping by the showroom to browse our collection, measure the firebox of your fireplace. You will need to measure the front width, height, back width and depths. The standard sizes are 18″, 24″, & 30″ we offer the option of customized sizing if none of the standard log sets are the right size for your fireplace. When perusing gas log sets remember that you get what you pay for. Investing in a higher quality set will benefit you in the long run. At Yankee Doodle, Inc. Stove & Fireplace Center we carry a selection of high quality gas log sets that will be sure to make your fireplace the focal point of the room. 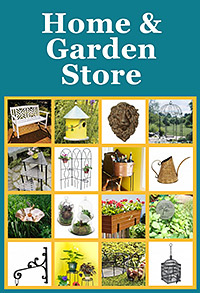 We are Fairfield County’s favorite hearth shop thanks to our selection of quality products and friendly staff. 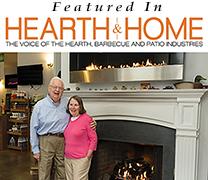 Stop by our showroom off scenic Route 7 in Wilton, Connecticut to see for yourself how a gas log set can revitalize your fireplace. If you need further assistance with choosing the best gas log set, we would be glad to visit you in your home and discuss your particular needs and requirements.